#2019yearofsempiconversation Alyce is a childhood sexual abuse survivor who is using her voice to help others who don't have a voice yet. Alyce wants people to know that "I am a true survivor just wanting to help others, and I'm real and honest." Alyce was adopted at 1 year of age, and #molested by her adopted 'monster #father' from age 2. The first time Alyce ever spoke about her serious abuse to an adult in authority, her psychiatrist, she was not believed. 1: Remind yourself to be your own HERO! 2: If a child comes to you talking about any kind of abuse, LISTEN TO THEM AND BELIEVE THEM! 4: You are not what happened to you. 5. You are not the only one out there. Alyce's story is #real, and at times she is #triggered during the interview, but still wanted to be #filmed so other survivors can see that you can sit with the #pain, #talk about what happened, #explore the #story, and come out the other side feeling a bit better. She says that #healing can take a #lifetime, and to please see a #therapist, and start your journey toward peace within yourself. 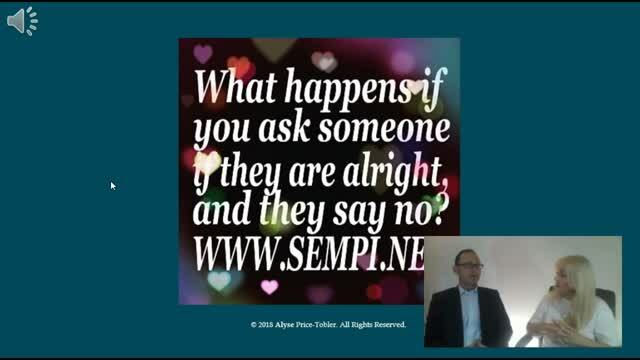 Alyce is a true #mentalhealthwarrior and we are #grateful to have her speak so openly and honestly on SEMPI Real Conversations. 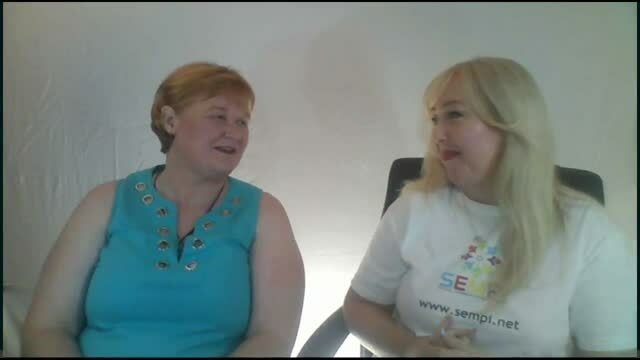 HI everyone, here is the latest video that I did with Tania Rose, about my SEMPI Social Communication Model. I talk here in depth about some of my views on how we, as a community can change stigma around mental health, and then we go through and check in with each other, by asking, 'How is Your SEMPI?' This exercise enabled us to gain a deeper perspective of how we were feeling holistically, right in that moment. Bullied school student, Grace, aged 13, demonstrates how the SEMPI SCM applies to her difficult school circumstance. SEMPI Conversations, Zandi, age 24, vet nurse. Zandi is a very busy young woman, who is currently juggling 2 jobs, and TAFE. She has recently finished her VET nursing requirements and speaks candidly about how her SEMPI is for this video. Bullied school student Kate, aged 12, demonstrates how the SEMPI SCM apples to her difficult situation atm. The SEMPI children's model is currently being trialled in schools in Western Sydney with special needs students. SEMPI Conversations Jenny aged 49 Transitioning careers. Jenny has kindly made this video to let us gain a deeper perspective about what it's like for her to be a Carer to her elderly disabled mum, while attending TAFE and changing to a different career. SEMPI 'Real Conversation' with Hope, Aboriginal actor, aged 29. Hope is an aspiring actor, who is currently dealing with a very sick hospitalised grandmother, while trying to get her acting career off the ground in Sydney. Thank you Hope for opening up and going through SEMPI with us!